Today is all about the reds and pinks, but that doesn’t mean that everything has to be that color. You can be subtle with your V-day outfit and still feel flirty while your out celebrating. For my outfit I decide on wearing a hint of pale pink, which you can find in my chevron pattern crop top. 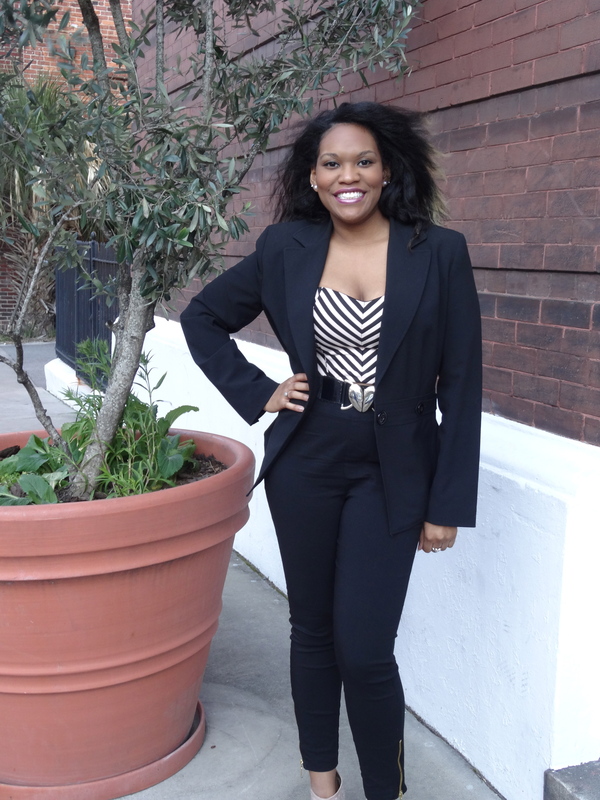 I then paired it with a high-waisted black fitted pant and a black blazer jacket. My booties that I chose to wear are a pale pink color to match my top and since it is encrusted with rhinestones I thought it was best to keep my jewelry simple with just a few bracelets. This sophisticated outfit is fun, flirty, and perfect for Valentine’s Day. I hope everybody is having a beautiful V-day with their significant others or friends.